Po maturitním poslechu z angličtiny doporučujeme přečtení přepisu poslechu. Je to vynikající způsob ověření si, že jste všemu v maturitním poslechu rozuměli. Poslouchání s přepisem je také vynikající metodou učení cizích jazyků. 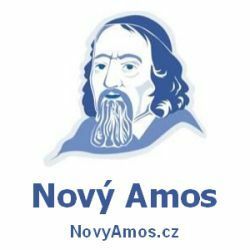 Přepis poslechu 2012 podzim k maturitě z angličtiny pro vás připravil Nový Amos. K dispozici jsou i poslechy a jejich přepisy z minulých i dalších ročníků maturit. Přejeme mnoho úspěchů. W: Ok class, everyone sit down. We’ve got a lot to do today. Is everyone here? Where’s Kyle? Is he late again? M: No, Mrs. Greenwood, he isn’t here. He was in a car accident yesterday with his father and sister. W: Oh my, what happened? Are they ok? M: Another car hit them. Kyle’s father hurt his head. He’s got a bandage on it, but he’s fine. Kyle and his sister weren’t so lucky, though. They’re both in hospital. But don’t worry, they should be out soon. He only broke his leg and she’s got a broken arm. W: Oh dear. Well, at least everyone is alive. Dear shoppers. Today we’re having a summer sale. This is a one-day sale, so act fast. Buy any t-shirt in the store and get the second absolutely free. We’ve also discounted all of our shoes. Buy any pair of men’s or women’s shoes and get a twenty percent discount. All sale items are marked with red tags. Please note that this sale applies to clothing only. The prices of all watches and jewellery have not changed. Thank you for your attention and have a great shopping experience. M: Bye mom, I’ll see you after school. W: Are you taking your bicycle again today? M: No, Lawrence is picking me up, remember? I’m going with him. W: Oh, that’s right. He just bought a new car, didn’t he? M: No, the car was too expensive. He didn’t have the money for that, so he got a motorbike instead. W: Really? His parents let him do that? Don’t you think a car would be safer? M: Don’t worry, mom. It’s no different than riding a bicycle. Trust me, I’ll be fine. I can’t wait for the weekend. It’s a real shame that it’s supposed to rain Saturday though, because I was really looking forward to doing something outdoors. For example, playing volleyball. But I guess I can wait until next weekend for that. There’s a new sport centre downtown that I’d like to check-out. They’ve got really nice indoor tennis courts. So I’ll find my racket and reserve a court for Saturday. It may not be outside, but at least it’s still healthy. On Sunday, I’ll just relax around the house and watch some TV because there’s a football match on that I’d like to see that day. W: Listen, Paul, if your mobile is broken, it’s your fault. You don’t need your phone with you everywhere you go, especially not at a swimming pool. You should know better. M: But mom, it’s not my fault! I wasn’t even swimming. It was in my pocket and Jonathan pushed me into the water. W: Well, then Jonathan should buy you a new one. M: That’s what I said, but he won’t do it. He doesn’t have the money. He offered to give me his phone though, but I don’t want it. M: Because his mobile is really old. Mine is newer and cost a lot more than his. I want the same phone I’ve already got. It’s only fair. W: Well, maybe I should talk to his parents. I’ll call them this evening. M: You can’t, they’re on holiday for two weeks and Jonathan is staying with his grandmother until they return. They’re over in Paris now, the first time they’ve ever been abroad. W: So, do you have his grandmother’s number? Maybe I could speak with her. M: No, she doesn’t have a phone. She’s a strange woman, she doesn’t even own a television. She completely dislikes the things. In fact, she almost never uses electricity. Except when listening to her old radio. W: Well, you can live without a mobile for two weeks. You can always use our landline. It’s not a mobile, but it’s still a telephone. M: But what about all of my friends’ phone numbers that I had saved in my phone? They’re all lost now. How am I supposed to call anyone if I don’t know their number? W: It’s really not the end of the world. Anyway, you’ve got final exams coming and you need to focus on those. M: Oh please, when have I ever needed to study? I’ve never failed an exam and the homework they give me is a joke. I could do it while sleeping. I’m in the top five percent in my class, mom. Final exams won’t be a problem. W: I hope you’re right. Anyway, I’ll talk to Jonathan’s parents when they get back. They’re reasonable people and we’ve never had problems with them before. I’m sure they’ll agree to replace your mobile. The difficult part is that you have to wait until they return. M: Hi, you’ve reached the voicemail of John Green. I can’t talk right now, so please leave me a message and I’ll get back to you as soon as possible. Thanks. W: Hey John, it’s me, Lauren. Listen, I know we agreed to meet tonight for dinner, but I have to cancel. As you know, my brother has been living in New York for the past ten years and I almost never get a chance to see him. Well, he called me today and guess what! He’s actually flying here to Chicago to see me this afternoon. He’s taking the five o’clock flight, so he’ll arrive here at eight o’clock. I need to meet him at the airport, so we have to reschedule our plans for dinner. Perhaps we can meet tomorrow, the three of us could get lunch together. I’d love to introduce the two of you. I know how much you like music and my brother works for a music company. He knows a lot of bands and I’m sure you two will have a lot to talk about. Can we meet tomorrow at the Italian restaurant? You remember where it is, right? We were there last month, it’s located next to the library on Maple Street opposite the park. We could even see a film afterwards if you want. There’s a new cinema on Washington Avenue and on Saturday, there is a fifty percent discount on all films. Ok, I’ve got to go. Please, give me a call when you get this message, but remember that I have a new mobile now. So don’t call 555-23-34 that number doesn’t work anymore. Please call me on my new number, it’s 555-19-47. Take care, bye! M: Hey Karen, I have a favour to ask you. I need a ride to the airport tomorrow afternoon. Could you take me? M: My plane leaves at four o’clock, so I need to be there by three. W: I could take you if it was earlier, but I have a job interview at three. M: Really? I thought you had that yesterday. W: I was supposed to, but there was some crisis at the company I’d like to work for and the boss needed to meet with everyone, so they had to reschedule me. Sorry. But listen, I’ll pick you up from the airport next week, ok? W: Excuse me, can you tell me when the train to London leaves? M: There’s one at ten o’clock, but I’m afraid you’ve missed it. W: Really? What time is it? M: It’s exactly ten now. Look, there it goes. W: Great. I have a meeting at twelve o’clock. I’m going to be late. M: Don’t worry, the trains leave every half hour. If you take the one at ten thirty, you’ll definitely arrive before noon. You’ll be there in plenty of time for your meeting. W: That’s exactly what I need. Thank you so much. I have nothing against driving, I’m not some environmentalist or anything. I mean, if I was worried about pollution, I could drive an electric car, you know. No, it’s not that at all. I used to drive every day. I had to because there was no public transport in my hometown, but now that I live in the city, I can take the bus anywhere. And it’s not expensive. I mean, have you seen the price of petrol these days? I can’t afford to use a car. I do miss driving, though. It was certainly quicker than public transport, but at least now I can read on my way to work. Hi, uhm, Jennifer? Listen, I’ve got tickets to a jazz concert tonight. I haven’t been in for ages, so I’m really excited. I wanted to ask if you’d like to come, but then I remembered you hate jazz. So, I invited Maggie instead. But I need a favour – my baby-sitter is ill. So I was wondering if you could come over. Mark would already be asleep, so you can just watch TV or whatever. I’ll even buy you dinner sometime if you like. What do you say? Give me a call when you get this. Thanks.